Governor Nyesom Wike of Rivers State, Nyesom Wike, has revealed how he discovered a presidential aspirant of the Peoples Democratic Party (PDP) was being planted by the All Progressive Congress (APC). 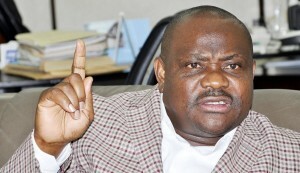 Detailing how he got to know, Wike said a serving security chief approached him requesting he support one of the aspirants of PDP to emerge the presidential candidate of the party. He declined naming the said security chief. The governor said this on Tuesday while addressing journalists at the government house in Port Harcourt. The post “How I Discovered Presidential Aspirant Mole APC Placed In PDP” – Wike appeared first on LATEST NIGERIAN NEWS BREAKING HEADLINES NEWSPAPERS.